(17/P78) TRENTON – The Department of Environmental Protection – in cooperation with the U.S. 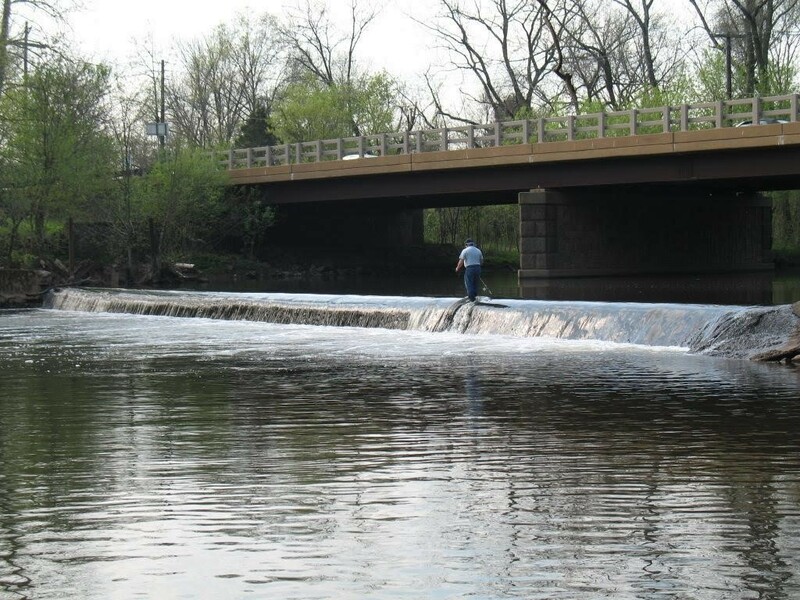 Fish and Wildlife Service, National Oceanic and Atmospheric Administration, Stony Brook-Millstone Watershed Association and other partners – has launched a project to remove the obsolete Weston Mill Dam on the Millstone River between Manville and Franklin Township. This effort that will open a stretch of the Somerset County waterway to migratory fish, enhance overall river health and improve safety for recreational use. The partners announced the project during a news conference today. The removal of the Weston Mill Dam, also known as the Weston Causeway Dam, is the latest in a series of dam-removal projects undertaken by state, federal, nonprofit, and private partners to make waterways in the Raritan River Basin free-flowing again. The project will open a 4.5-mile stretch of the Millstone River upstream of the dam to species such as American shad and river herring that spend much of their lives in the ocean and estuaries but need to return to freshwater rivers and streams to spawn. American eel, which spawn in the ocean but spend much of their lives in rivers and streams, will also benefit. Funding for the project was secured by the DEP’s Office of Natural Resource Restoration, the National Oceanic and Atmospheric Administration, and the U.S. Department of the Interior through a Natural Resource Damage Assessment settlement agreement. It is occurring in an area purchased by the DEP’s Green Acres Program as an addition to the Delaware & Raritan Canal State Park as well as for the purposes of removing the dam. Structures such as the Weston Mill Dam, which is 5.5-feet high, are known as low-head dams. These small dams were built many decades and even centuries ago to power mills, generate electricity and create lake-like sections of impounded water. However, they have long prevented migratory fish from accessing important spawning habitats. As early as the late 1700s, it was reported that construction of dams and overfishing were causing the shad population in the Millstone River to decline rapidly. The original dam at Weston Mill was built around 1844. The current concrete dam at the same location was built in the mid-1930s. The Weston Mill Dam site today contains the remnants of a gristmill and sawmill. Measures will be taken to protect the remnant structures as well as any artifacts that are found. Low-head dams create stagnant stretches of rivers that can be low in dissolved oxygen that aquatic life needs, while exacerbating excessive algae growth that can diminish recreational and scenic enjoyment. In addition, kayakers and canoers who are not aware of the dams can find themselves trapped in a vortex of roiling water should they accidentally tumble over them. After the 112-foot-wide dam is removed, the river channel will be restored. Studies are underway to assess benefits to fish and improvements in the river’s overall ecological health. The Weston Mill Dam is located about 1.5 miles upstream of the Millstone’s confluence with the Raritan River. 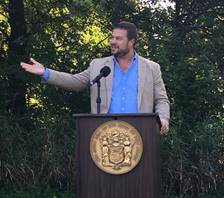 Using funds from other Natural Resource Damages settlements, the DEP and partners have removed three dams on the Raritan, making some 10 miles of that river free-flowing again. The Calco Dam in Bridgewater was removed in 2011, followed by the Roberts Street Dam in Bridgewater and Hillsborough in 2012, and the Nevius Street Dam in Raritan Borough in 2013. The Island Farm Weir, another dam located at the confluence of the Raritan and Millstone rivers, is equipped with a fish ladder. It is not a candidate for removal because the area it impounds supports intakes operated by the New Jersey Water Supply Authority. The Weston Dam project is being implemented by Wyeth Holdings LLC under the terms of a Natural Resource Damage settlement agreement with the DEP, the U.S. Department of Interior’s Fish and Wildlife Service, and the U.S. Department of Commerce’s National Oceanic and Atmospheric Administration. This agreement calls for Wyeth to implement the project to compensate the public for natural resource injury resulting from past pollution to the Raritan River from the American Cyanamid Superfund site in Bridgewater Township. Wyeth inherited responsibility for the American Cyanamid site through corporate successorship. Wyeth is also funding studies on ways to improve fish passage through the Island Farm Weir without adversely impacting water-supply operations. As part of this effort, Wyeth will complete a final design of the alternative deemed to be the most effective for passage of fish, and will submit engineering plans to be utilized when project funding becomes available. Other Partners in the Raritan Basin effort include American Rivers, Conservation Resources Inc., the Geraldine R. Dodge Foundation, the Horizon Foundation and the Raritan River Fish Passage Initiative. The DEP uses funds secured from Natural Resource Damage settlements with polluters toward many other natural resource restoration projects throughout New Jersey, typically in the same watershed or general area where resource damages occur. These settlements do not relieve responsible parties of their obligation to remediate contamination.